All Pages of SRGP are presented with the expectation of RECIPROCITY. If you are descended from these people, Joyce needs your family updates to the PRESENT. 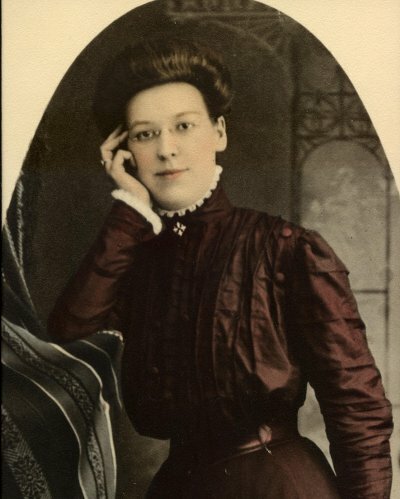 This is a pic of my grandmother ,Bertha Welch Reese. In your 1908Tioga PA directory you list her as a schol teacher dau of Samuel H 62. I need info about her husband John M Reese( also spelled Reece)1870-1943,my grandfather. He wa known as roaring jack while working on the RR in Slate Flats,I believe. I have no other info on him. can you help?